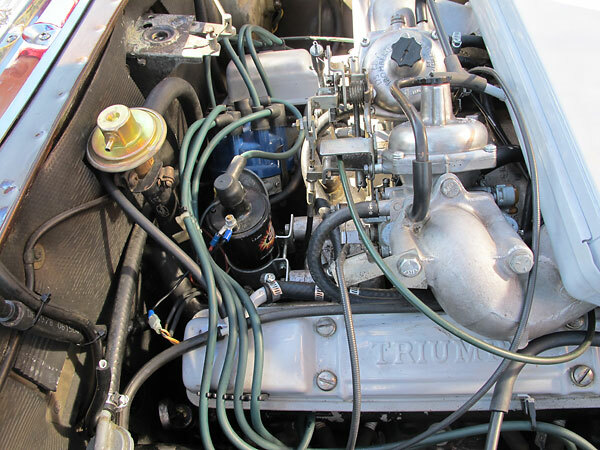 Engine: Triumph 3.0L V8 engine, rebuilt. 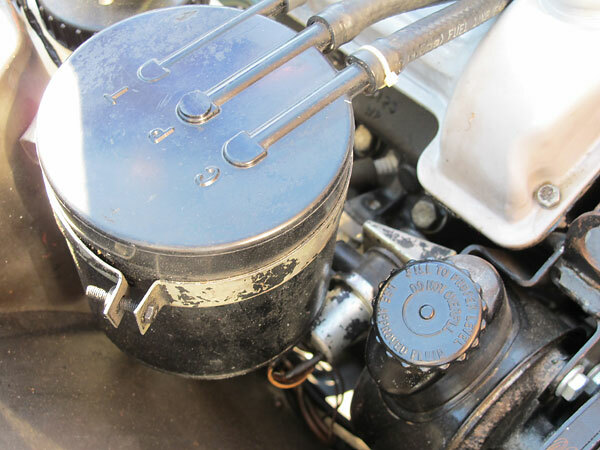 Dual Zenith Stromberg 175 CDSEV carburetors. Lucas 35D8 distributor. Pertronix Ignitor breakerless/electronic ignition module. 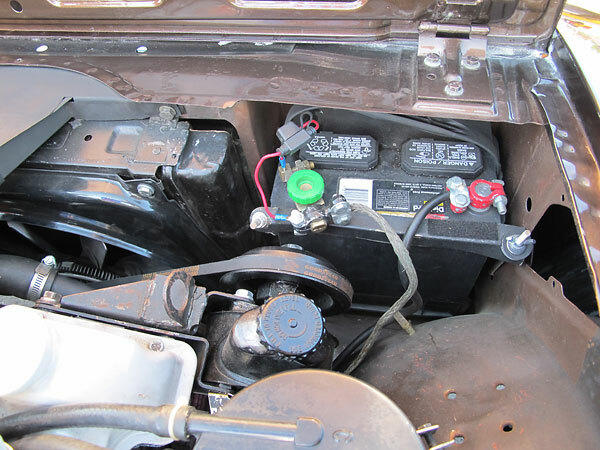 Pertronix Flame Thrower ignition coil. 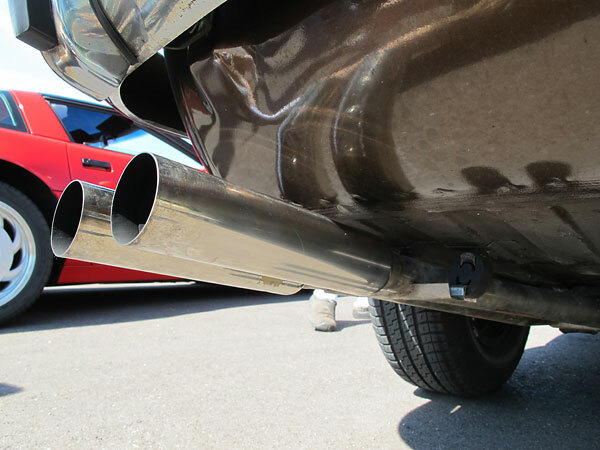 Exhaust: all stainless steel dual exhaust system. 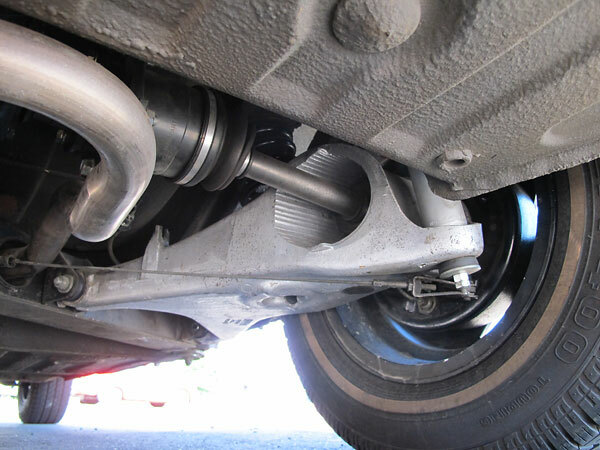 Dual stainless steel mufflers. Cooling: stock radiator. 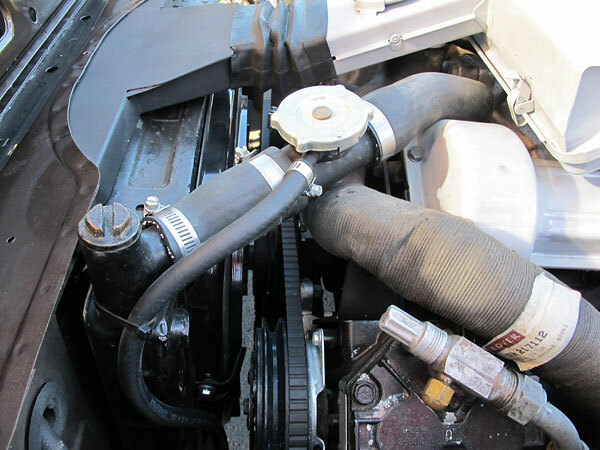 Stock engine driven cooling fan. Stock dual electric fans ahead of the air conditioning condensor. Polycarbonate reproduction radiator cowling. 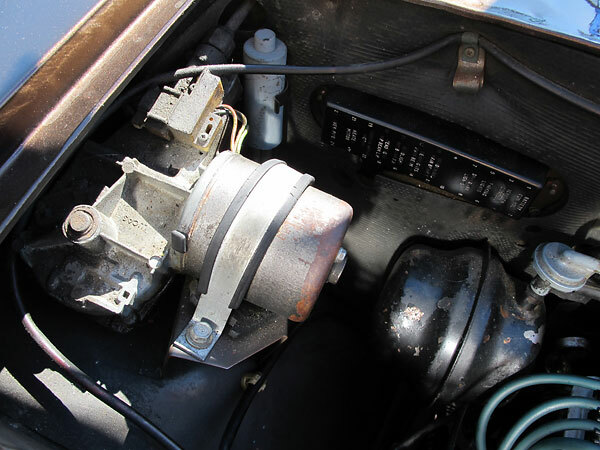 Transmission: Borg Warner Type 35 three speed automatic. 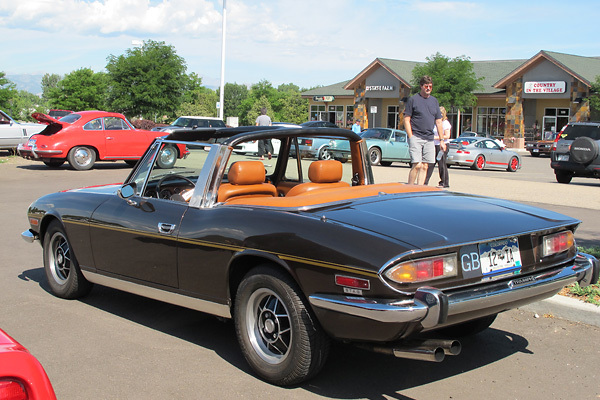 Rear End: Triumph Stag 3.43:1 ratio. Phantom Grip limited slip differential. 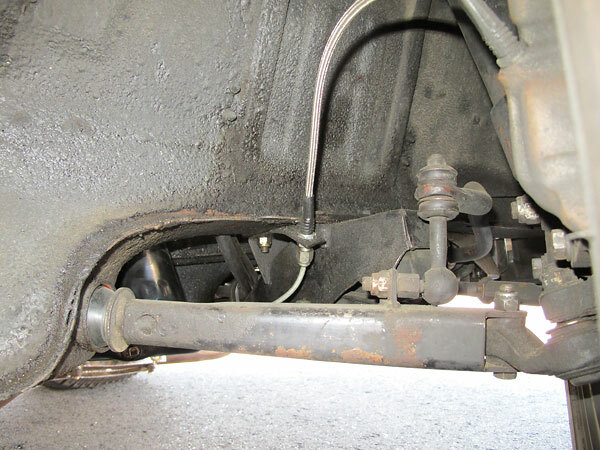 Goodparts CV jointed rear axles. Front Susp. 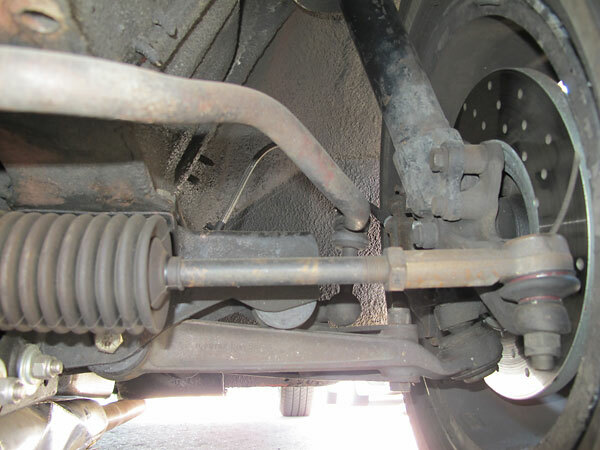 : stock MacPherson strut suspension. 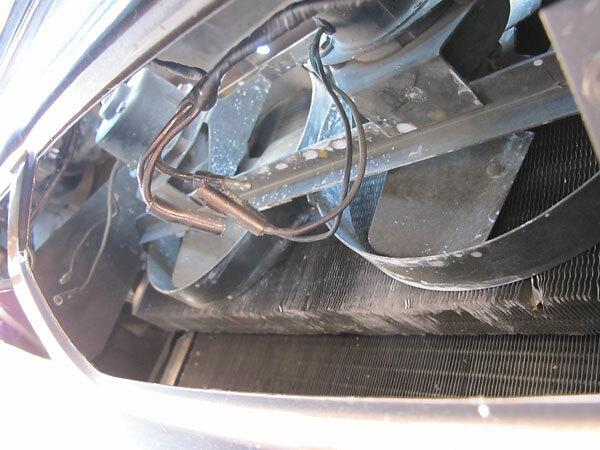 KYB strut cartridges. SuperFlex polyurethane bushes. Rear Susp. 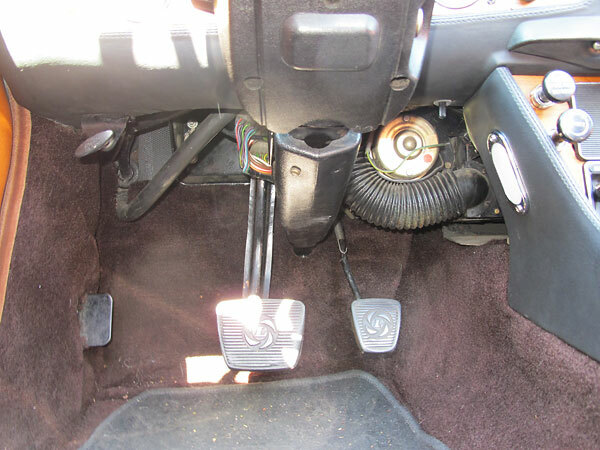 : stock independent suspension. 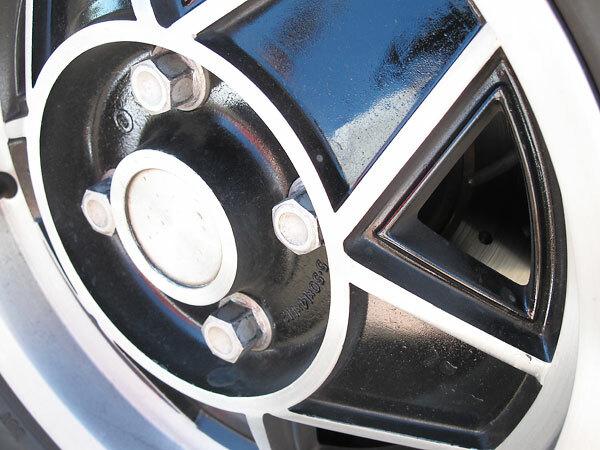 KYB shock absorbers. SuperFlex polyurethane bushes. 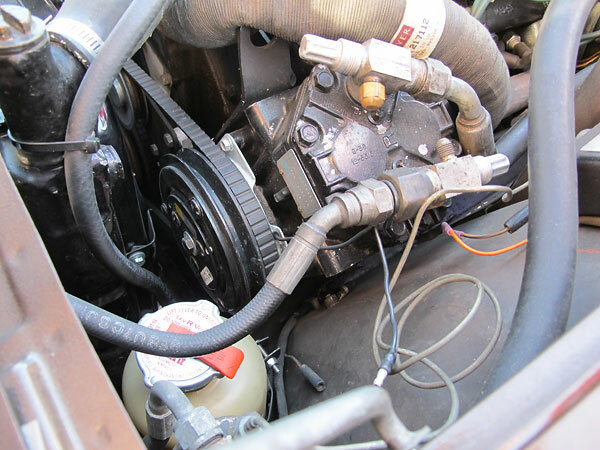 Brakes: stock Lockheed master cylinder and power brake servo. EBC drilled/slotted front brake rotors. EBC Green Stuff pads. Dust shields temporarily removed. 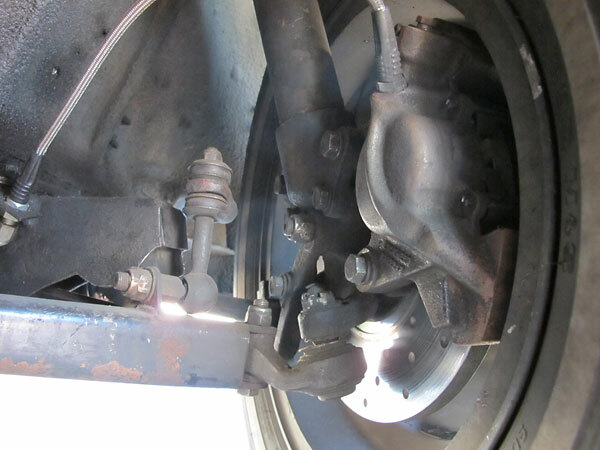 Stock rear drum brakes. 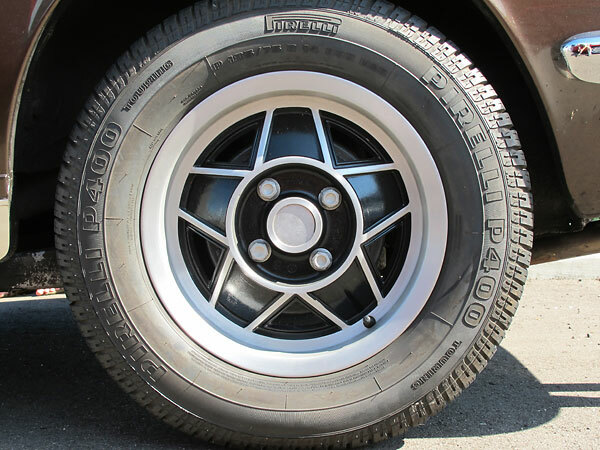 Wheels/Tires: stock 5-spoke alloy wheels. Pirelli P400 Touring 185/75R14 tires. Body: repainted with 2006 Ford Metallic Bronze paint. Brown mohair soft top. Body color factory hard top. 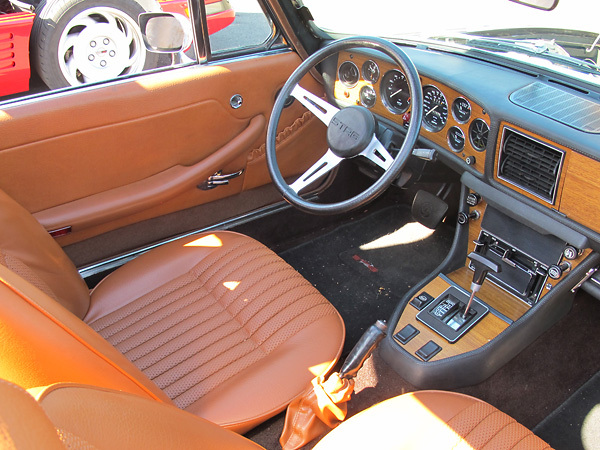 Interior: interior restored. 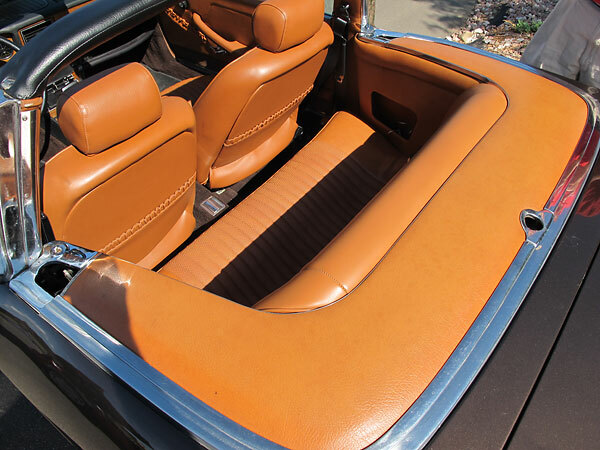 Leather trimmed dashboard top. All carpets replaced. Stock instruments. Original factory-installed air conditioning. Comments: Glenn is the third owner of this California car. 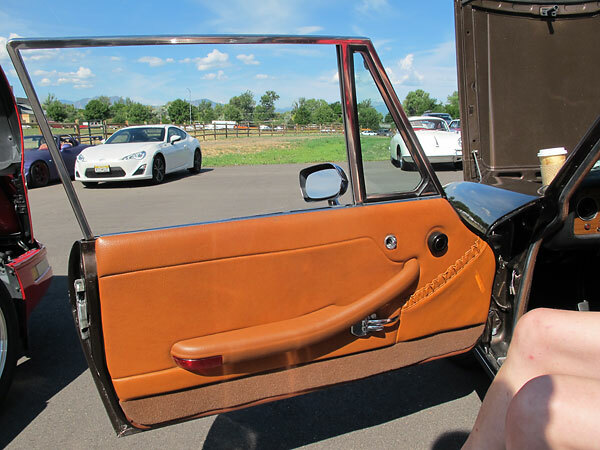 He purchased it on July 2 of 2011 immediately before the Vintage Triumph Registry meet at Breckenridge Colorado, where it placed second in Concours judging! It's a very, very original car in almost all respects. The most conspicuous exception is its paint color. The hue is close to original, but the new paintjob features metallic flakes. This is no trailer queen though; Glenn drives it frequently and BritishV8 photographed it at a casual "cars and coffee" meet-up. slightly raise the compression ratio from a starting point of ~7.75:1. 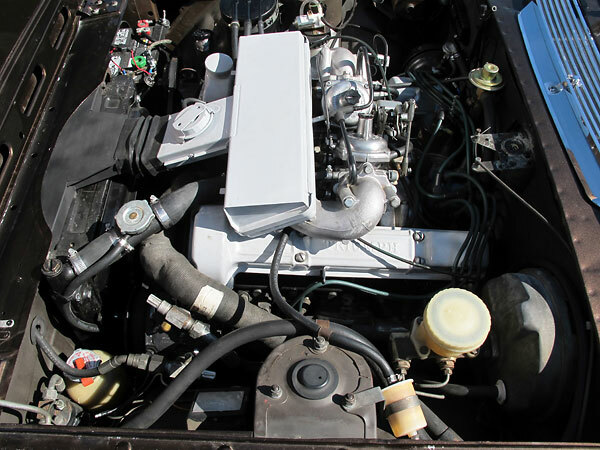 146bhp @ 5,700rpm & 167lb⋅ft @ 3,500rpm, achieved with a static compression ratio of 9.25:1. 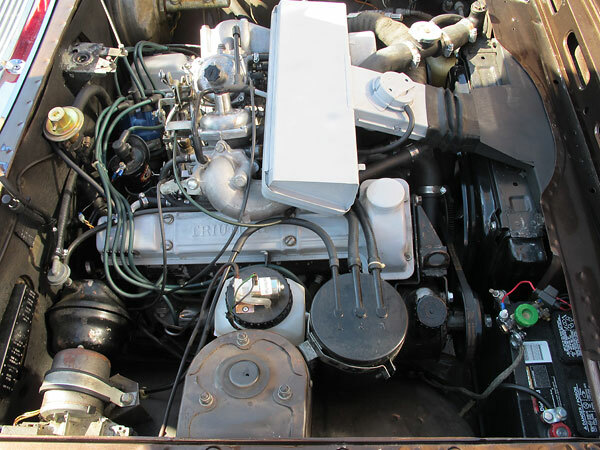 Dual Zenith Stromberg 175 CDSEV carburetors. 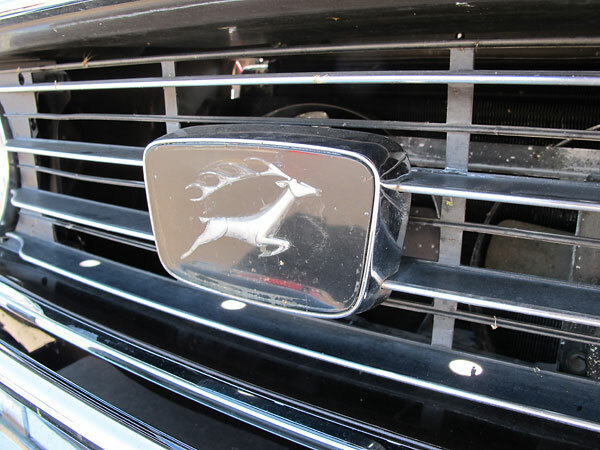 Air conditioning was a popular option on export market Stags. 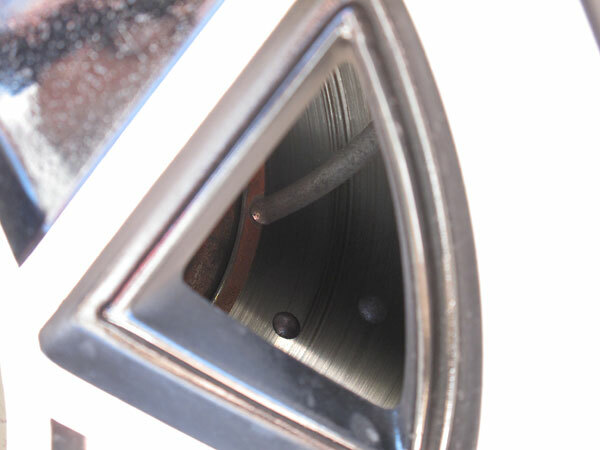 Foreground: a Panco high pressure cut-out for the air conditioning compressor. 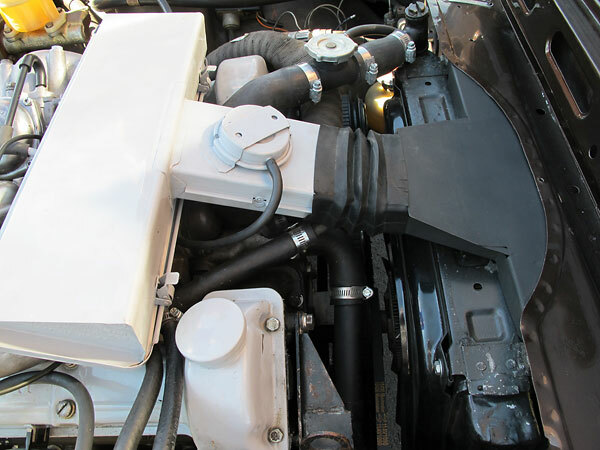 Genuine Triumph Stag stamped steel radiator cowling parts are very hard to come by. authentic. He offers them as a three piece set, for $300. Bonus: they'll never rust! 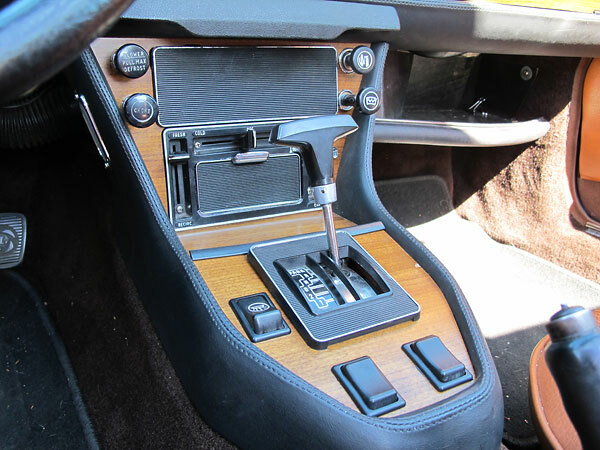 controls are reasonably simple, easy to maintain, and effective. 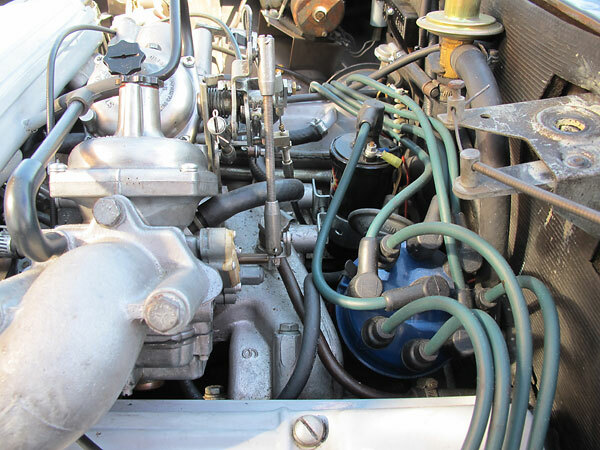 contemporary six cylinder engines for the the British and European markets. 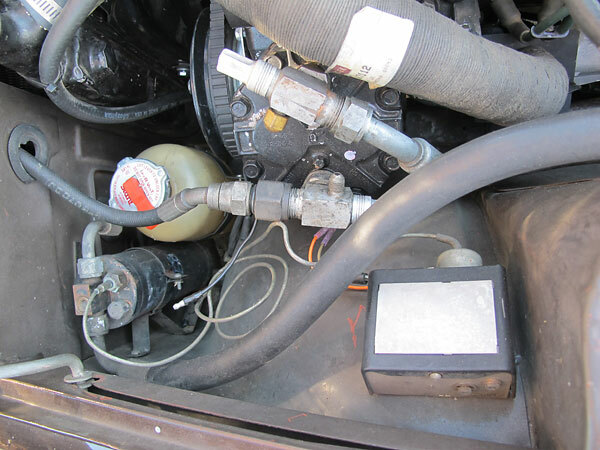 reservoir for vacuum operated climate control system air flaps and heater valve. Temporarily disconnected electric fans for the AC condensor. EBC grooved and dimpled front brake rotors. Wheels are marked: "5.50 x 14 x 1.12." 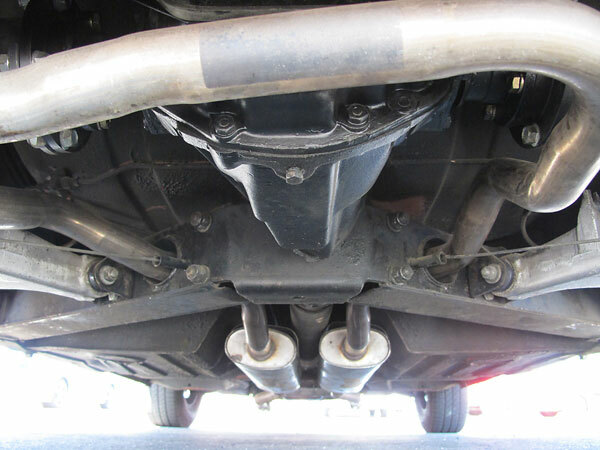 Triumph Stag independent rear suspension. 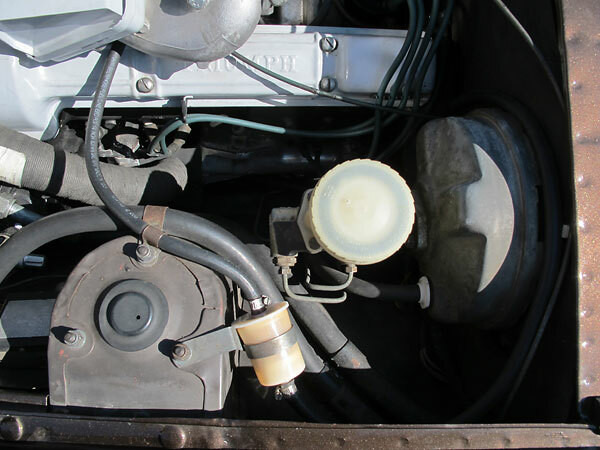 Original features: coil springs, telescoping shock absorbers, and drum brakes. 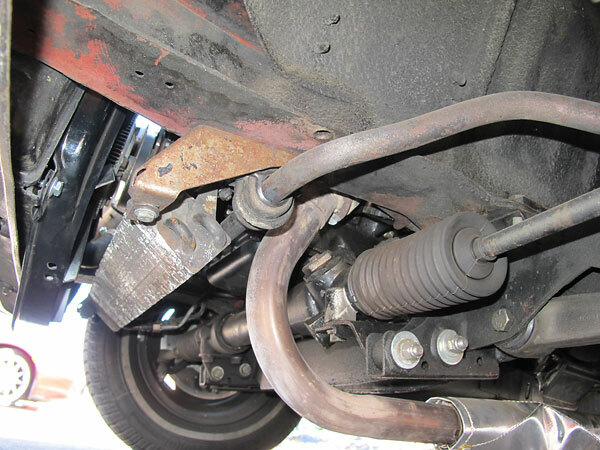 Upgraded feature: Good Parts CV-jointed rear axles. 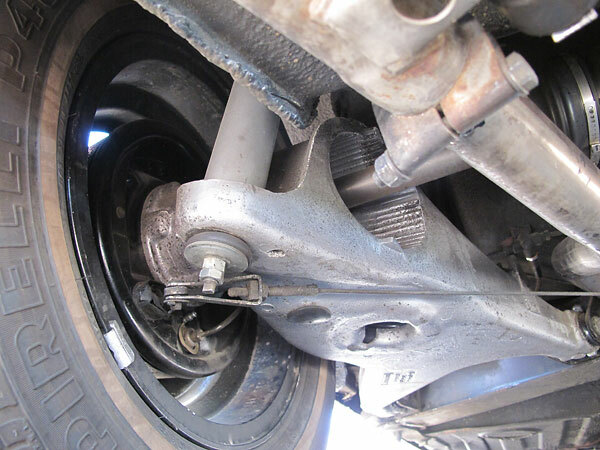 is a substantial improvement as is a Phantom Grip limited slip differential. 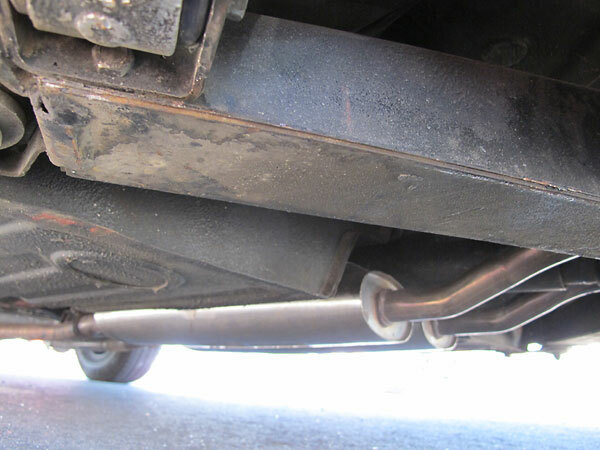 Dual stainless steel mufflers are an upgrade from stock. 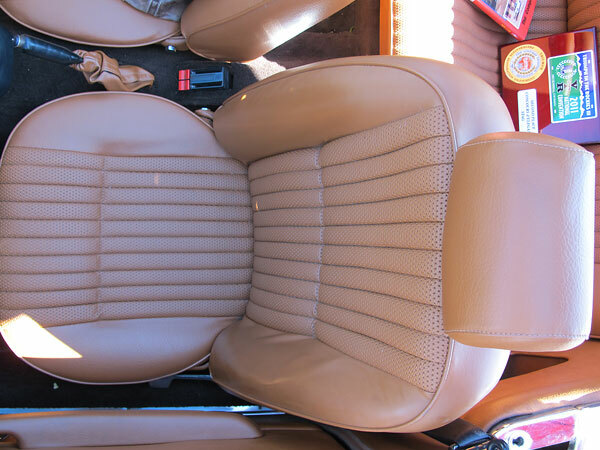 exception: leather dashboard trim has been installed where Triumph originally used vinyl. 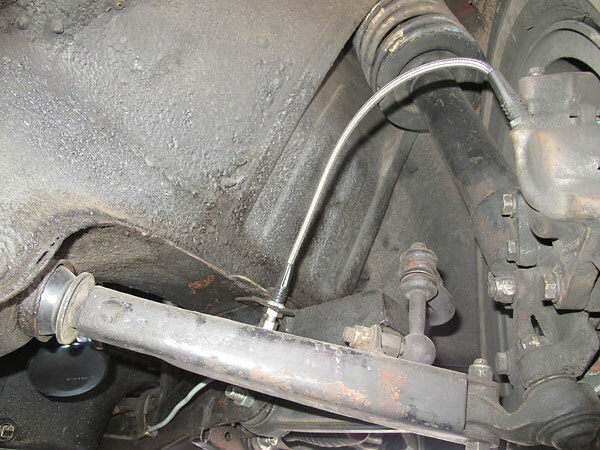 Power steering was provided as standard equipment. 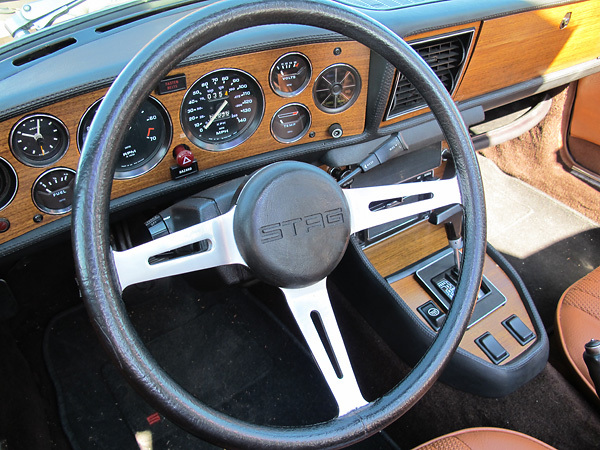 Most Triumph Stags were equipped with Borg Warner Type 35 3-speed automatic transmissions. 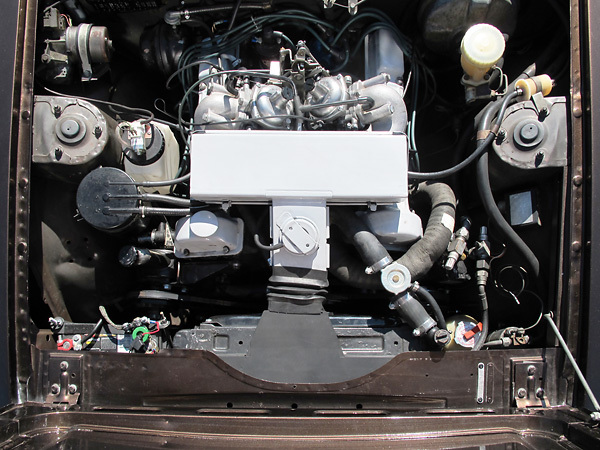 Laycock overdrive units were a less popular factory installed option. with Federal safety standards. In England, early Stags came without headrests. Electric windows were standard equipment. 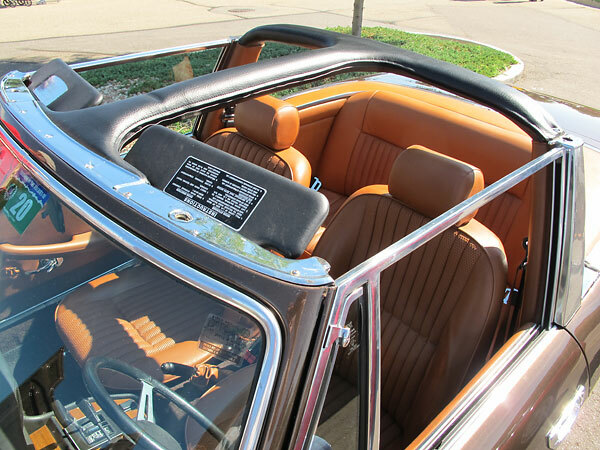 The Triumph Stag features unibody construction with a unique supplemental "T-bar" structure. engine. 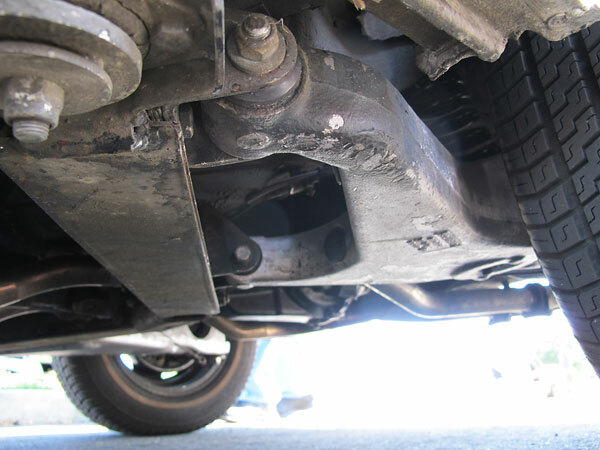 The T-bar was deemed necessary to add stiffness to the Stag's otherwise open body. Chevrolet Corvette models and some other General Motors products. 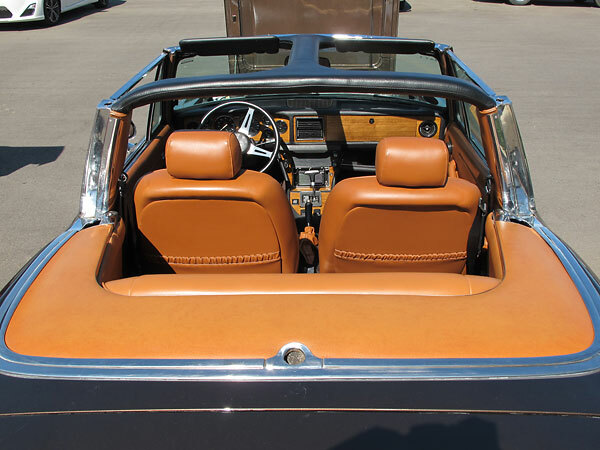 tourer"; engineering commenced in 1966 and production launch was planned for 1968.
carried on... From 1971 through 1980, Mercedes also offered a 3.5L V8 powered 350SL model. 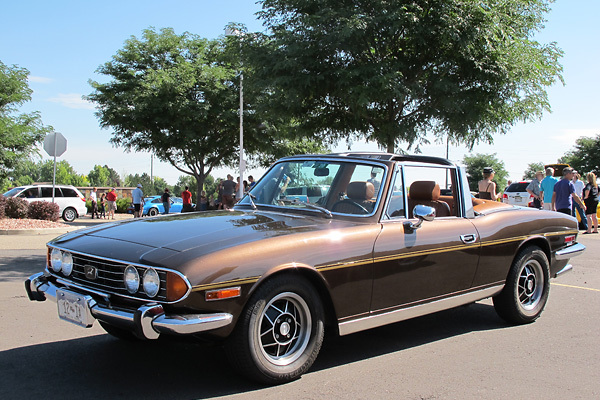 Triumph's stepsister company, Rover, introduced their "3500S" model in U.S.A. in October 1969.
an all new design which would suffer teething pains. For more information, reference: 1, 2, and 3. 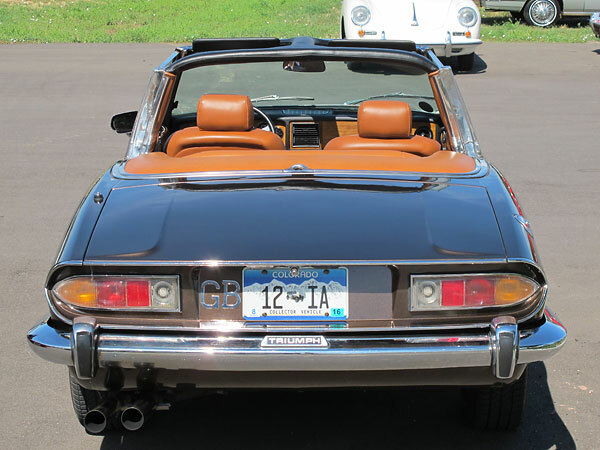 After various delays, the Triumph Stag was finally ready for the world in June of 1970. 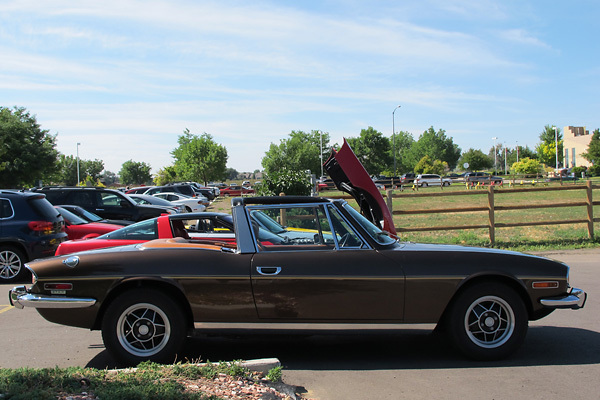 Approximately 25939 Stags were built. 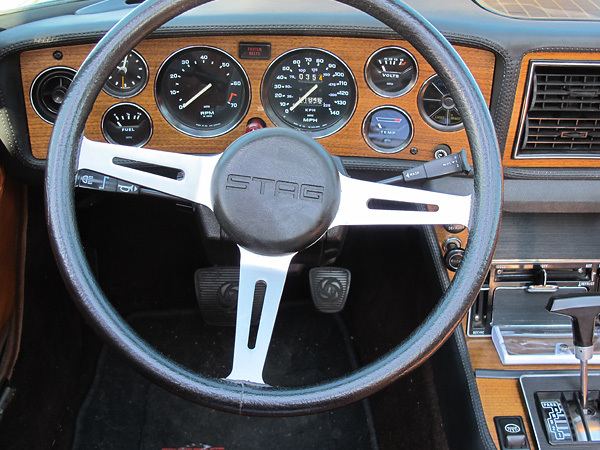 Most were right-hand-drive cars for the home market. 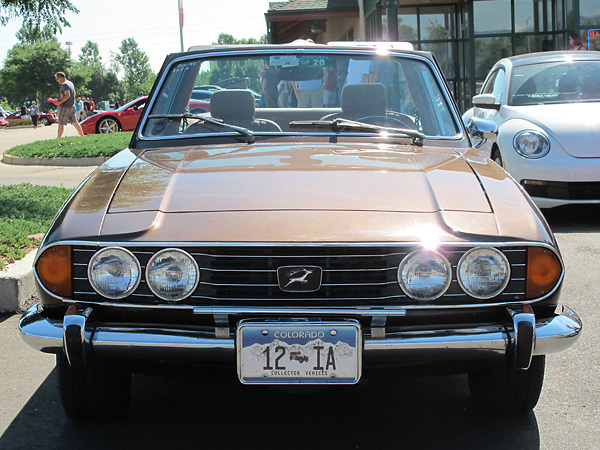 through 1977, export to the United States was discontinued after the 1973 model year. 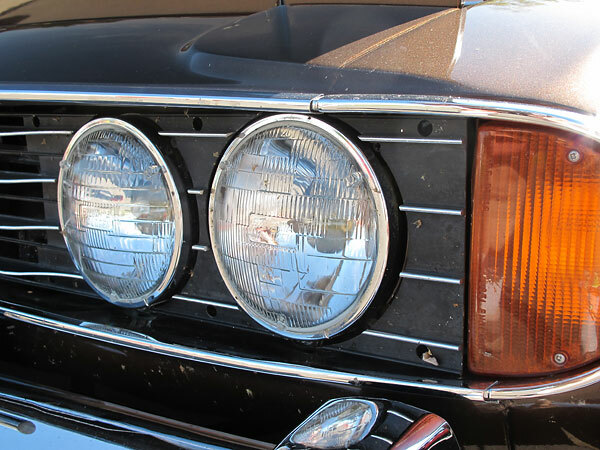 Sylvania Halogen sealed beam headlights. 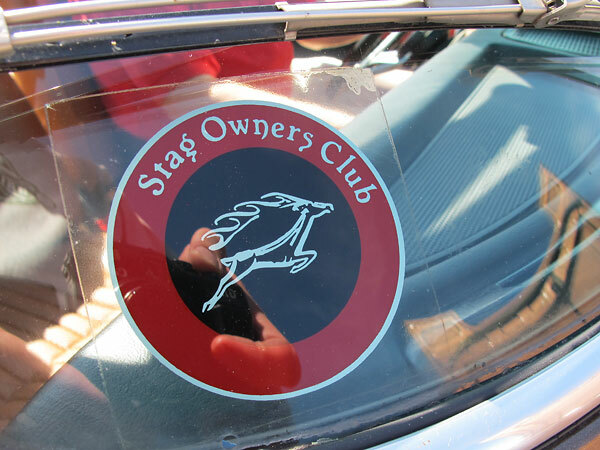 Stag Owners Club windscreen decal. 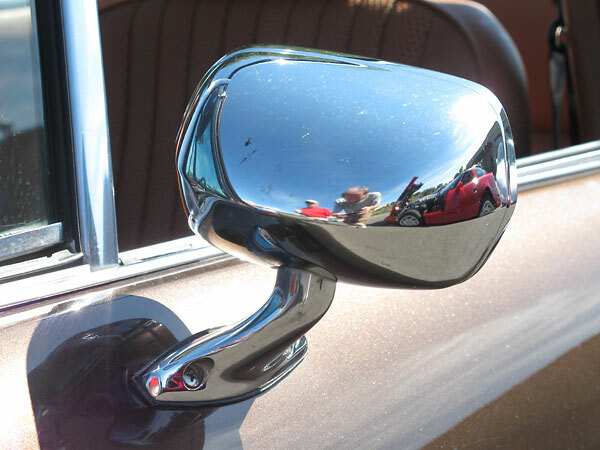 Triumph Stag side view mirror. alloy wheels was offered instead of the wire wheel option. 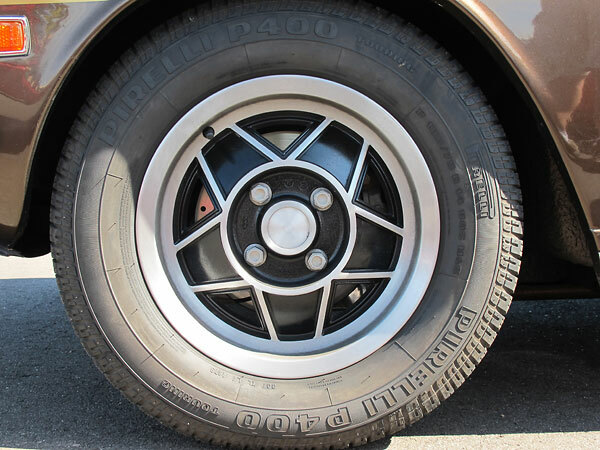 Pirelli P400 Touring 185/75R14 tires.